Eléonore Lépinard is associate professor and director of the Center for gender studies, Université de Lausanne. She is principal investigator for the FNS funded research project « Gendered Globalization of the Legal Profession ». Eléonore’s work is situated in the field of socio-legal studies, gender and politics, gender equality public policies and social movements. 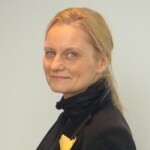 She participated in several large comparative research projects financed by the European Commission and has acted as an expert for the European Parliament committee on women’s rights and gender equality (FEMM committee). 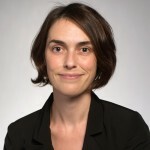 Aside from the GGLP project she currenlty works on gender quotas in political and economic decision making in France and beyond, and on feminist movements in France and Canada. A PhD in Sociology, Isabel Boni-Le Goff is a FNS Senior Researcher at the University of Lausanne. Isabel is interested in the contemporary changes at stake in expertise, professions and higher-level occupations. 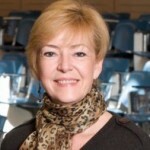 She studies the interplay of different social processes, such as globalisation and feminization. Her fieldwork is both quantitative and qualitative, based on a mixed-methods approach with an interest in comparative and longitudinal studies. She monitors the surveys in Switzerland and France. 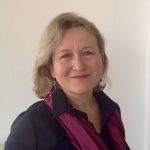 A British national who has worked for many years in France, Nicky Le Feuvre is full Professor of sociology at the University of Lausanne, in Switzerland. As Vice-Dean of the Faculty of Social and Political Sciences, she is in charge of gender equality and junior academic careers. She has researched extensively on the implications of the feminisation of higher-level occupations, from a comparative and life-course perspective. Besides working on the GGLP project, she is currently director of the Gender & Occupations sub-project of the LIVES National research programme (www.lives-nccr.ch/) and is in charge of the Swiss contribution to an FP7 European research project on gender inequalities in early academic careers (www.garciaproject.eu). Grégoire Mallard is Associate Professor in the Department of Anthropology and Sociology at the Graduate Institute of International and Development Studies (Geneva). He is the author of Fallout: Nuclear Diplomacy in an Age of Global Fracture (University of Chicago Press, 2014) and co-editor of Contractual Knowledge: One Hundred Years of Legal Experimentation in Global Markets (Cambridge University Press, 2016), and Global Science and National Sovereignty: Studies in Historical Sociology of Science (Routledge 2008). His recent publications focus on the globalization of the legal profession, the global governance of nuclear trade, postwar financial negotiations, and the study of harmonization as a social process. For more information, see: www.gregoiremallard.com. Gabriele Plickert is currently a postdoctoral research associate at Texas A&M University collaborating with faculty in the department of sociology and the school of law. 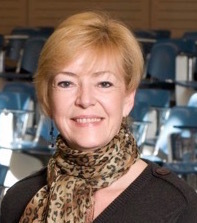 Her primary areas of research are in criminology, sociology of law, the life course, stratification and inequality (both national and international comparisons). Primarily, Gabriele is interested in transitions and trajectories of the life course located within the matrix of these subfields. Funded by the National Science Foundation, the Law School Admission Council, and the TransCoop Programme of the Alexander von Humboldt Foundation, Gabriele studied and compared as co-principal investigator professional legal careers in the United States and Germany. Currently, she participates in the “Globalization of the Legal Profession” project, focusing on the intersection of organizational structures and the globalization of legal work and how these shape trajectories of professionals.